The Ventair Manzer II ceiling fan is a great value and modern ceiling fan suitable for bedrooms and living spaces. The Manzer II features precision moulded ABS quality blades and the fan has been pre-balanced – ensuring a very quiet and smooth operation all year round. 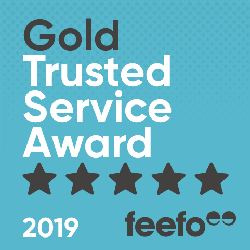 The fan uses a quality premium long life motor and parts and features a reversible airflow option for seasonal use in winter and summer – giving you a quality long lasting and durable fan. The Manzer II comes with a wall control – however is remote control adaptable (see accessories below). 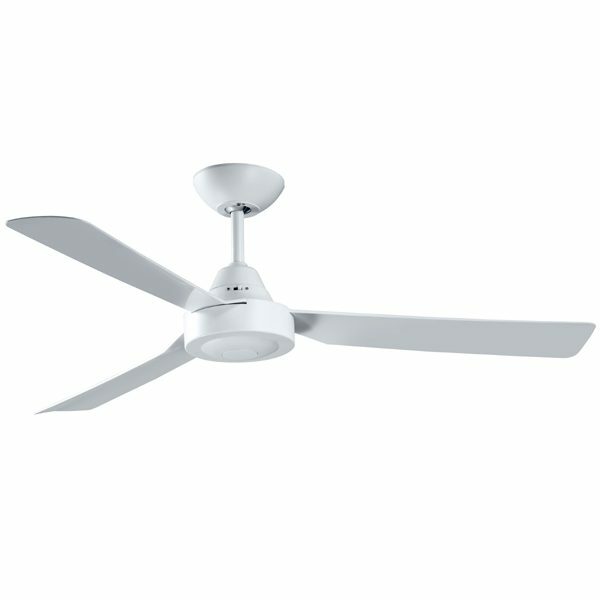 This particular model of the Manzer II ceiling fan by Ventair comes with a White motor and White blades. Why Choose the Manzer II Ceiling Fan? The Ventair Manzer II ceiling fan allows you to use the fan in either an indoor or outdoor (undercover) location. The Manzer II can be used all year long with its reversible functionality and its quick connect wiring and fittings – allowing for easy and quick installation. 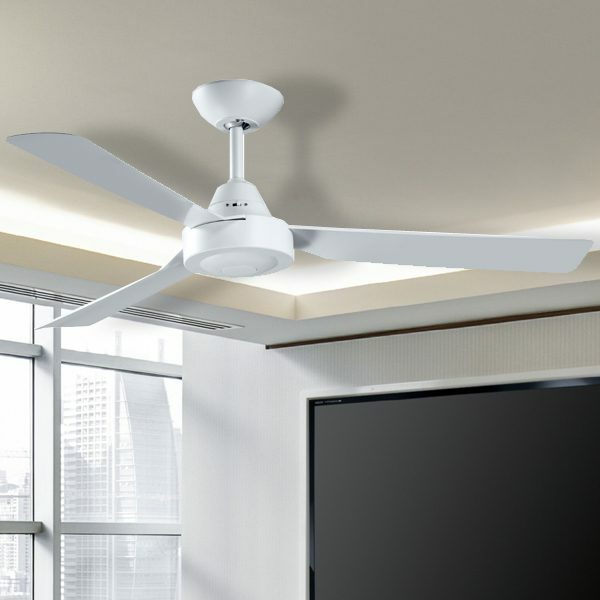 The Manzer II is an ideal ceiling fan for bedrooms as it features premium components, pre-balancing and 3 precision moulded blades for a whisper quiet operation. This Manzer II ceiling fan has a white motor with white blades. Available with light – please see alternative listing. Ventair – Includes a 2 year in-home manufacturer's warranty and a further 4 year replacement warranty on the motor. Conditions apply. General requirement is to have a minimum of 2.1m from the floor to the blades of the fan. What's The Difference Between An AC & DC Motor? 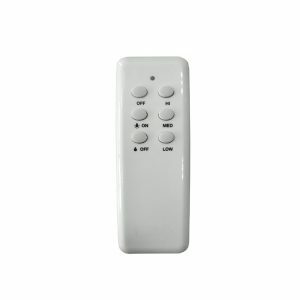 AC fans can be controlled by a wall control (options with pull-cord and remote as well), while DC fans can generally only be controlled by remote. Lumera Living is an online specialist retailer in ceiling fans, lighting, heating, cooling and exhaust fans with a focus on energy efficient and eco-friendly products. Our goal is to provide a superior online shopping experience offering a great selection of products.